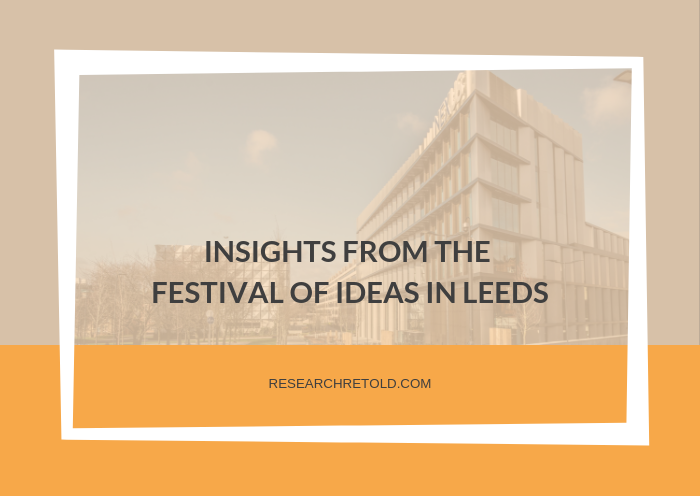 In this blog we share our insights from the Festival of Ideas in Leeds. 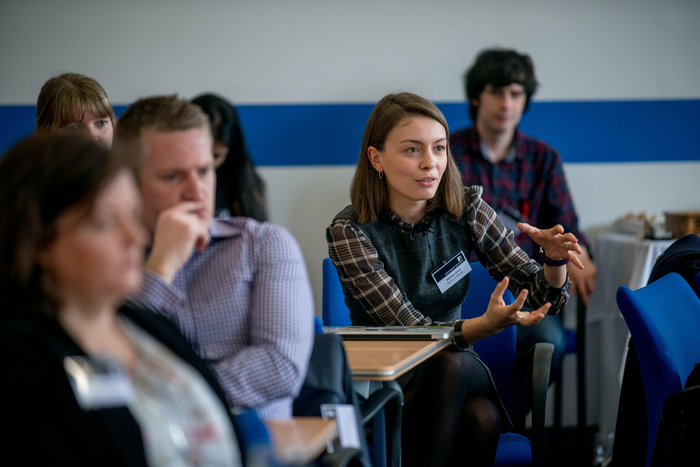 The event took place on Monday the 8th of April and was organised by the University of Leeds. 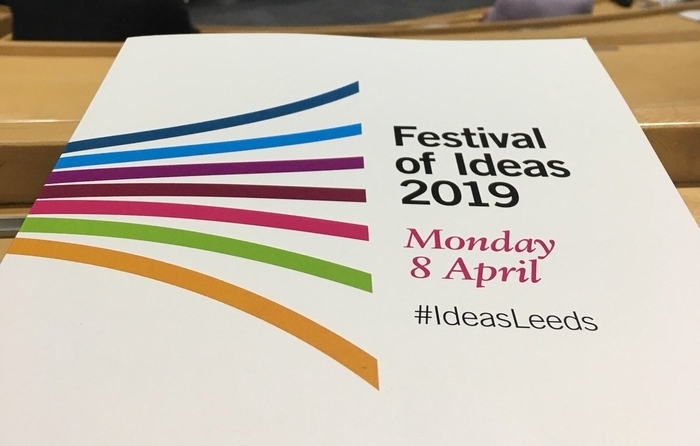 The Festival of Ideas is an annual event that brings together academia and industry for a day of talks and discussion. 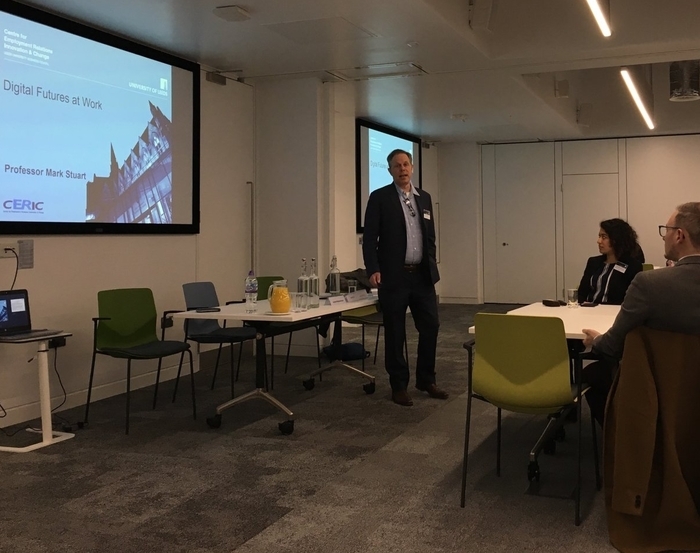 Academics from the Leeds University Business School (LUBS) share their expertise and spotlight the potential opportunities to collaborate. This year was particularly exciting as the Festival was delivered in partnership with Nexus Leeds. Nexus is a recently opened business centre that bridges the gap between business and academia. The morning session consisted of two events which ran side by side: ‘Technology and Digital Disruption’ and ‘Communication and Behaviour’. Each event had a discussion towards the end, where attendees had the opportunity to ask questions. The presentations were interesting and offered a lot of food for thought. Here are four insights from the Festival of Ideas ‘Communication and Behaviour’ session. First, trust is of paramount importance when communicating complex issues, such as, but not limited to, climate change. 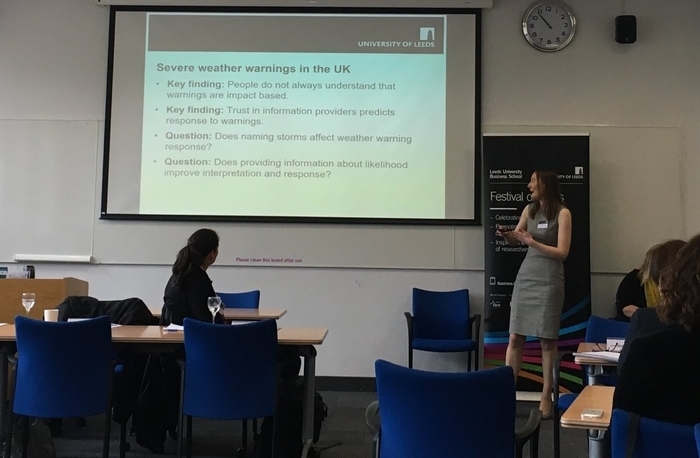 Dr Taylor also discussed the need for an evidence-based approach to communications, which we also highlighted in our blog about communication tips for academic researchers (Dr Astrid Kause’s tip). Second, from Dr Qu we learned that when we start a new good habit, our motivation can come from a superficial reason like wanting to look good on the beach. However, the key to making it a long-term habit is to experience an internal shift in motivation – meaning it has to feel good on the inside. Third, we know there is a traditional way of promoting road safety by focusing on reducing speed. 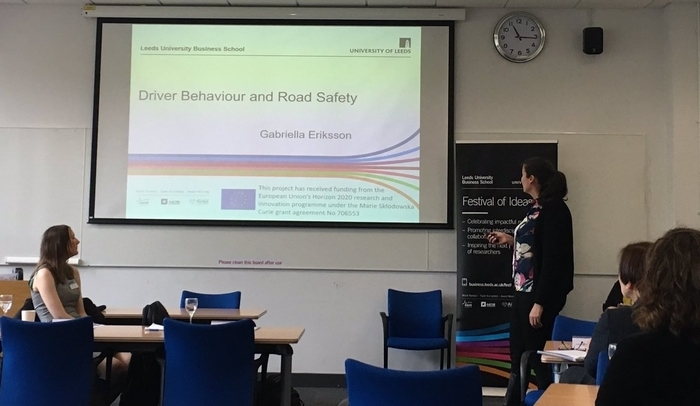 Yet, Dr Eriksson shared a different way to think about road safety by helping drivers make better judgements through a travel time meter that would help them save time in getting to their destination. In the Q&A session, Dr Eriksson discussed the challenge with communicating this research and the need to create an experience for drivers that would convince them of the benefits (i.e. placing them in a simulator). Lastly, Dr Pieniazek expressed enthusiasm that companies are starting to roll out personal resilience interventions, supporting their employees in reducing stress/improving wellbeing. However, she pointed out that there is still no evidence base on what the most effective interventions are – meaning everything that is done now is purely gut feeling without any research backing it. After networking over a tasty lunch, we headed to the Nexus event space for the afternoon session. This was set out in the same format, with the two sessions ‘Finance at a Global and Local Scale’ and ‘The Human Side of Technological Innovation’ running in parallel. First, Professor Stuart highlighted that 35% of UK jobs are at risk of computerisation (Fray and Osborne, 2013) which emphasises the increasingly significant role of technology in the workplace. Yet, the important thing to remember is that tech on its own won’t change anything, it’s how we use these technologies that will have a massive impact. Second, Dr Bhattacharjee reminded us that using online services isn’t always free and that in the process of using social media and online services we become the data. This raises the issue of trust that we place in companies to not use our data against us. Moreover, she highlighted the issue of competition in the tech world and the need for a regulatory body to control this data. Third, Professor Allen discussed how technology has transformed the police sector, moving from a hierarchical model of decision-making to one in which more members of the police force are empowered to make decisions using tech devices and data. Lastly, Dr Phillips rounded up the session by sharing that when it comes to uncovering insights from big data there are three layers to take into account: what the big data is supposed to say, what people want it to say and what data actually says. Keep this in mind! At the end of each session, we asked participants about the most effective way to present their research to non-academic audiences. The common thread was that all academics recognised the need for better communication and presentation of their findings to external audiences. They also mentioned the need to remove jargon, creating experiences that allow people to change perceptions, having open conversations and, if possible, creating dashboards that allow the data to speak to audiences in a visual format. 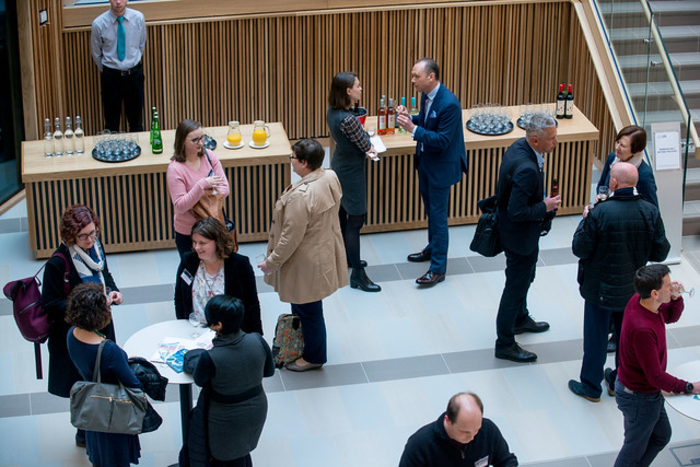 The event focused heavily on collaboration and forging partnerships with external organisations. We got a lot out of the event in terms of new information as well as potential collaborations. First, we learned about the amazing Nexus space and are in conversations with Dr Martin Stow, the Director of Nexus, about perhaps securing a space there or becoming a partner in some capacity. There is a natural fit between what we do and the mission of Nexus, and we believe we can support them in their engagement with business by creating accessible documents to explain research in simple and visual ways. 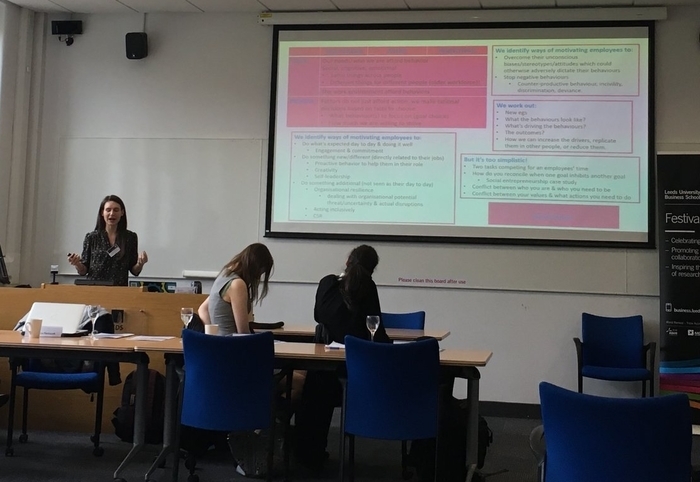 Second, we learned about the amazing work done by the Leeds Social Science Institute and their mission to promote research impact and to upskill researchers in communicating the impact of their work. We are in conversations with the LSSI team about some potential workshops and collaborations. Lastly, we are proud to be a Leeds-based business and part of this community. This event was a great confirmation that we are in the right place to make a positive impact in society. We hope you enjoyed reading our insights from the Festival of Ideas. Why not have a look at out live tweets from the day and join our Twitter community?